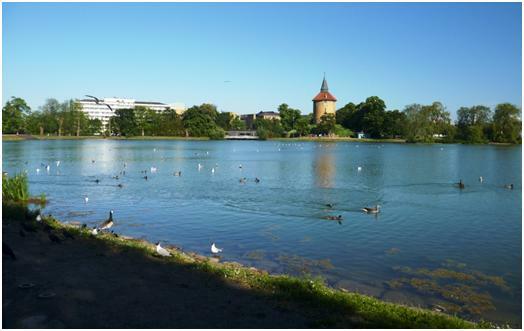 My last few days were to be spent in more familiar territory, the Netherlands and Germany. I did not know about the exact fixtures when I started the trip, but knew various play offs and cup finals had to be arranged. Indeed before I started, the only options for the Tuesday were a couple of low level games in Germany and Austria, or a return into Poland. I did know about the play offs to win promotion from the German Regionalliga to the 3. Liga would start on the Wednesday, but also that the options, which were likely to be Neustrelitz and Sonnenhof Grosaspach were both going to cause difficulties with the travel. Then up comes the Netherlands play offs. With the addition of the National Topklasse (one each, for Saturday and Sunday) as the top level of Netherlands Amateur football, (which is of course, semi-professional), there has to be promotion and relegation. There are three regional leagues (Hoofdklasse) below the Topklasse, and all three champions go up at the expense of the bottom three. But then there are the period champions. In the Netherlands and Belgium, the playing season is divided into roughly even groups of matches and the winner of each period goes into the end of season play offs. As the automatically promoted team may well have won (at least one) period, and teams can win more than one, additional teams may be included from second place down in the league. In the Netherlands Hoofdklasse, there are three regional groups, and three periods per group. They then play a round robin within each group, with each team (normally) getting one home game. The three winners, and the fourth from bottom team in the Topklasse then play semi-finals (two legs) and final (single match, neutral ground) to decide the final club in the Topklasse. So the fixtures were not known at all when I started out, and even when I spotted them (about a week’s notice), I did not know who would be at home. The Saturday semi-finals were to be played Tuesday and Saturday. When the fixtures were eventually settled, it was Ajax Amateurs and SteDeCo at home in the first leg of the semi finals. As SteDeCo’s home in … involves two buses from the nearest rail station, I chose Ajax. On a very wet day, an artificial pitch may help. This meant Amsterdam joined Prague and Budapest as a major cities on this tour where I saw football without venturing into the city centre. This game was at the Ajax Amateurs pitch at Toekmost. 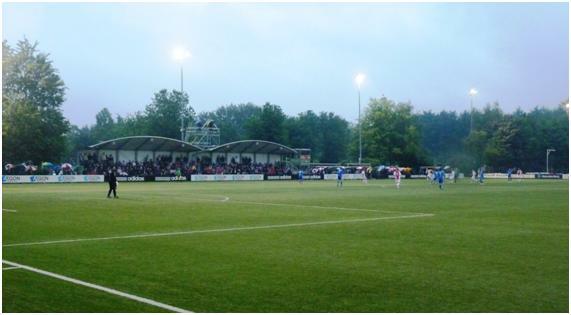 The main pitch there is used for the Eerste Divisie Jong Ajax team, the Ladies and the most senior (A1) of the many youth teams. 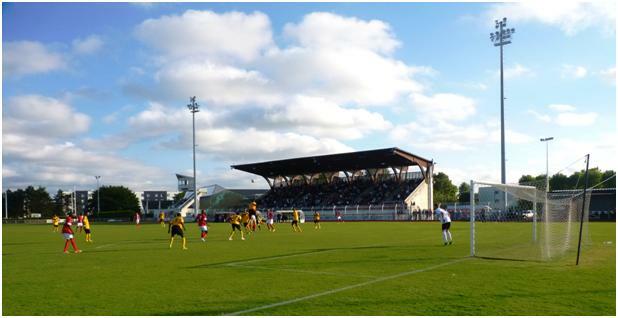 The main pitch is grass, but the Amateurs use an artificial surface, no doubt shared by other teams. Ajax Amateurs themselves run three adult teams and a veteran’s team. They are a curious combination, being simultaneously part of Ajax, and apart from the Professional team. In the past, I am told the team has been used to blood youngsters who are likely to go on into the professional game, but with Jong Ajax now in the league, they are now a purely “amateur” outfit, which of course, in a Netherlands context means semi-professional. 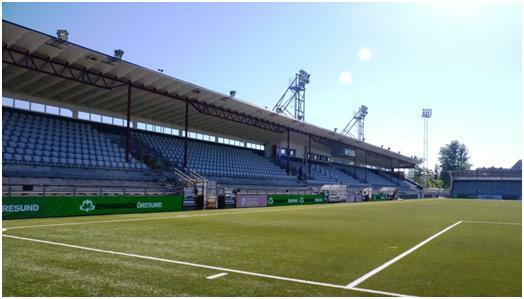 Most of the budgeting for Ajax Amateurs appears to come from the professional club, and they also have the benefit of the facilities and stewarding. They do not even feel the need to charge an admission fee. I am not sure if the coaches are shared. Players may come from those who have not made it to the professional ranks, but are just as likely to transfer in from outside. The top scorer, Dennis Kaars came from another amateur team in the Amsterdam and I have seen reports that he will transfer to Sunday football, with Hoofdklasse team de Dijk for next season. I might like to go there, if only to see if the Wikipedia drawing of red, blue and with chequered shirts is accurate. Kaars opened the scoring quite early in the game. He is a pacy forward that caught the eye, (and made me ask whether he had come through the Ajax academy). Noordwijk gave good account of themselves, but were always looking suspect to the pace of the Ajax attack. They levelled from the penalty spot, but went behind again when a Kaars shot, saved by Amerzni was then hit in by Kenneth Misa Danso. Noordwijk’s problems really started in the 33rd minute, when Kai van Hese pulled back Kaars as he tried to run through. I thought there were other defenders that might have been able to get back, but Kaars had the pace to go clear and the referee red-carded the defender. Noordwijk still defender well until the hour mark, when Sergio Cameron hit the third in from a difficult angle. A couple of minutes later, there was a foul from an Ajax player that incensed temperments. I did not get a clear view of the initial foul, but I did see Bryan Braun push over an Ajax player. The original foulee was booked, but Braun had to go and Noordwijk were down to nine men. 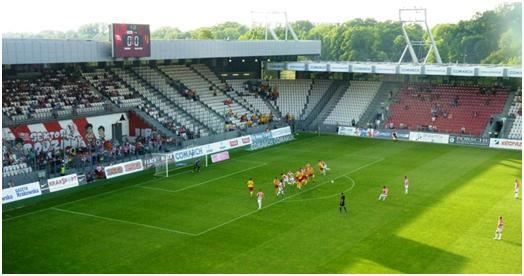 As this was the second pitch at Toekmost, a small stand (around 240 seats) and four steps of concrete terracing opposite, resulting in a lot of wet spectators, I will go back for Toekmost 1 most likely for a league match involving Jong Ajax. Meanwhile, I was given more information from a referee’s assessor, who was at the game as a spectator. Unlike the clubs, he seemed perfectly happy with the KNVB plan to force promotion on the champions of the Topklasse starting in 2015-16, despite the fact that hardly any of the teams in the Amateur leagues desire promotion. The team Achilles 29 came up at the start of the season, under a three season trial arrangement. During this season, they have played as an amateur team with only a couple of professional players. They have struggled to make the grade and eventually finished bottom of the table. They had been promised that they would not be relegated at the end of the season, but also that promotion was not an option. The results prove that although amateur teams frequently beat the professionals in cup matches, this does not mean that they are good enough to compete on a week in, week out basis. When I saw Achilles earlier in the season, they were comfortably beaten vy the Venlo outfit VVV, 3-0 and it was clear the main difference between the two teams is the fitness levels. Next season, Achilles are committed to a 50-50 professional/amateur team, which may do better, but would surprise me if it really worked. At the end of the season 2014-5, Achilles have the option to pull out, but the league will not relegate them even if they finish bottom again. Should they stay in the League for 2015-6, then they will have to employ at least 11 full time players paid at least the minimum wage, and a number of full time youth players who can be paid a less wage. At the end of 2015-16, there will be automatic relegation, and if the Netherlands FA gets their way, the winners of the Amateur title will be promoted. I remain uncertain about the logic of adding the three reserve teams to the lower division, (or as they are titled, “Jong”). The trio, along with Achilles brings the number of teams up to 20, while the Netherlands FA actually proclaims 18 as the ideal full strength. My assessing friend said the 18 would be achieved again by not replacing clubs that fold. Still it seems like a brazen dereliction of dut by the league to have a policy that expects clubs to fold, and if the financial standing of the Eerste Divisie is so poor, surely having two extra (home) fixtures dates is a good thing? At professional football clubs, an extra fixture should increase income to a greater extent than it increases expenditure. There is a full reserve division as well as the reserves in the main league, but there is no direct relegation and promotion route for these clubs. Feyenoord were particularly incensed that the clubs chosen to send their second teams in league were PSV, Ajax and Twente, but not the Rotterdam outfit who feel that their status as a member of the “big three” should have given them primacy. I wonder if they have considered a play off after the Amateur championship, between the winners and the reserve competition winners, for the promotion place? 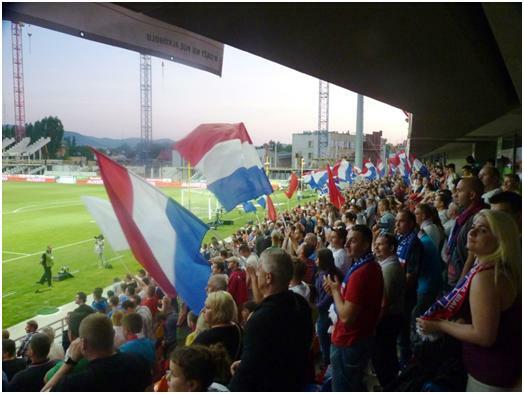 When TOP Oss where relegated a few seasons ago (as part of a earlier reduction of numbers), they were pleased to be able to regain their place later, replacing one of the many teams to fold from professional football in recent years. (RBC, Veendam, AGOVV and Haarlem have all dropped by the wayside, many others are threatened). Even the big three have all had to restructure themselves from debt mountains, (which had the positive effect of opening the competition and allowing teams such as AZ and Twente a chance to win the title). 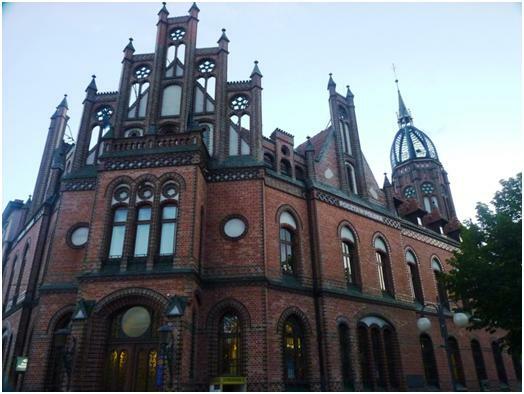 Anyway, from Amsterdam I headed to Braunschweig – a straight forward enough journey with just one change on the route. It had not escaped my notice that it had been an extremely wet day and when I reached my hotel room, trying to sign onto the internet was my first priority of the day. Before I could get connected, there was a call – Dirk was at the reception. Dirk is a German groundhopper who I have known for many years, he lives in Braunschweig and supports the main team Eintracht. He was going to join me for the evening game at the town’s second club FT Braunschweig, who were to play the Neidersachsen Cup final. This is one of 21 “Lander Pokale”, which are important as they serve as qualification competitions for the following season’s German cup. Only teams in the two divisions of the Bundesliga and the top four from the 3.Liga qualify directly. 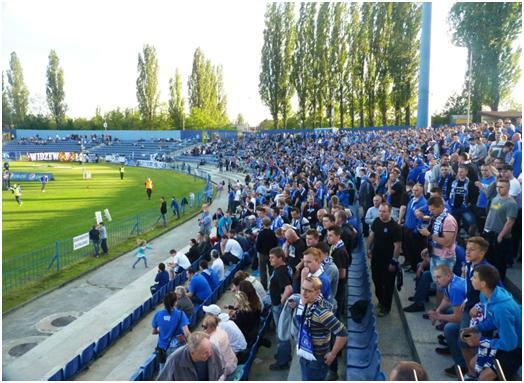 In recent years this has been recognised with increasing crowds and several thousand would be expected for the evening, although with 24 places from 21 competitions, the most populous (Niedersachsen, Westfalen and Bayern) get two places each, so only local pride was at stake. Anyway, Dirk’s news was bad news – the game was off due to a waterlogged pitch. I said I did not know, as I had not yet got onto the internet, (which was not coming up on my computer). I wondered if there was any other football to keep my run going. Dirk thought that any game was likely to be off as well, the weather having been so poor. Dirk then went out to sort out where his car was parked, but was to come back within 30 minutes to show me around the town. I found that while I could not get on-line from the computer, I could by using the slab I call a telephone. Searching the match calendar of the kicker website, I found two minor games – one at Bezirksliga level in the Braunschweig area, (Level 7 in the German pyramid) and one a level higher, some 40 km away in Bevenstedt, just outside Hildesheim. The calendar had been updated with the call off at FT, but still had these lower games on. Dirk said that although he had a car from work, it was for business purposes and even driving an 80 km round trip could get him into trouble, but he did check the times for me. If I could get to the local station in about 30 minutes, there was a train for the 20 minute run to Hildesheim and although a bus should get me into Bevenstedt ten minutes before kick off, a taxi might be a better idea. I meanwhile had checked the lower, more local game and discovered it also was off, but neither home or away website for the Bevenstedt game had a comment on the matter. And so, I set up. Dirk decided who could not make it, still organising his forthcoming three week trip to Asia. We agreed to meet when I got back for a meal and a drink. 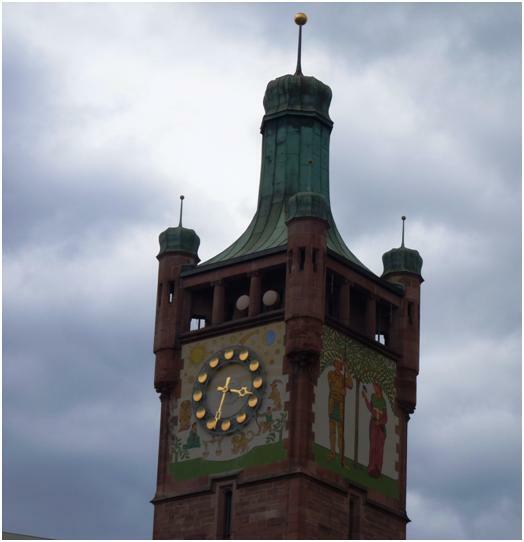 I quickly headed back to the station, caught the train to Hildesheim and with the help of a taxi found the ground with time to spare. More importantly it was open and they were taking admission money. It was game on, even if the grass was a little long and unkempt and it appeared that the club had neglected to mark out the lines clearly (probably due to the weather). 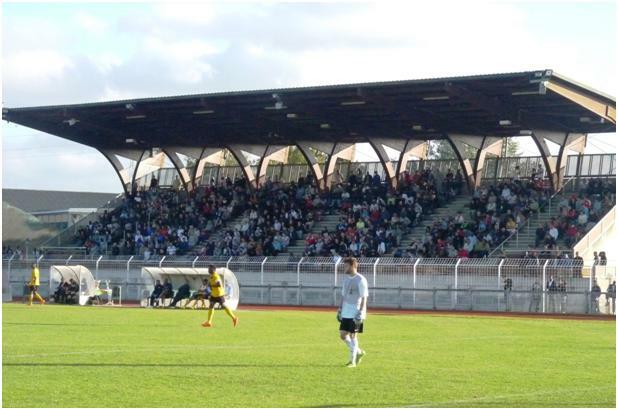 Even better, the ground boasted a quite modern stand with more than 200 seats, situated by the halfway line. The usual food and drink options, including the club bar were situated near the entrance, but having agreed a meal for later I settled on coffee. There was also a match programme, given away free. Admission was €6. The match had been brought forward from the following weekend. I did not find out why. Bevenstedt were in the comfortable position that no result from this match, or any other match in the league could mean they would finish other than in third place. Only the champions get promoted (as it happens, the champions are Arminia Hannover, the only other member team of this league I have ticked, even if when I went in 1998, they were three levels higher when I went). 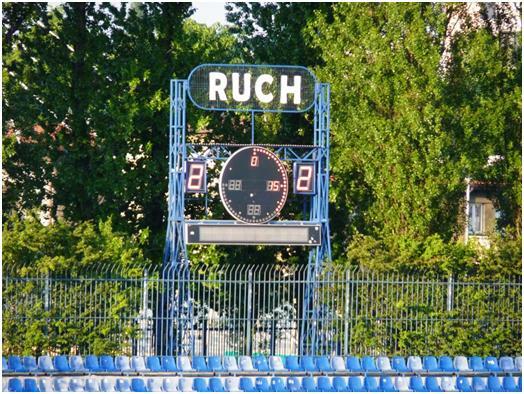 The visitors HSC Blau-Weiss Schwalbe Tündern were in 9th place and could go up or down two places depending on this and other results, which meant the match would certainly occur on next season’s fixture list. Bevenstedt were on top from the start and it was no surprise when they took the lead after 21 minutes. Playing some very neat passing football despite the uneven and damp surface, they added a second before half time. Immediately after the break they pulled the lead up to 5-0 within ten minutes, Tündern substituted their goalkeeper between the third and fourth goals. It did not appear to be apportioning blame or injury (the sub was waiting to come on when goal three was scored), but merely to give a player a run out. The substitute may have regretted being brought on as he conceded two within his first six minutes on the field. The game turned though, Bevenstedt did not deliberate take the foot off the pedal, but their goals dried up. On 72 minutes, a visiting sub pulled a goal back. Two more followed in the next seven minutes to make the score 5-3. Meanwhile, Bevenstedt revealed their final substitute as a rather overweight bloke with glasses, and quite clearly not of the fitness levels the rest of the team were showing. He spent several minutes joking with those in the stand who clearly knew him before coming onto the field with about five minutes (including injury time) to play. There were lots of calls to “give the ball to Markus” (or the equivalent in German) from the crowd, and he tried to keep in a forward position. I am convinced he did not play the ball once during his five minutes of fame. The final score was 5-3 despite the home keeper being made to make one good save to keep it so. I had been asking at half time about getting back to the station, no one appeared to be driving straight after the game, but I was given directions to the bus stop by a young lady who had some English. I asked her again about Markus at the end of the game and the first comment was “he is not a normal player”. I had gathered that already, but why was he on the field. It was in fact a reward for many years of service to the club. One cannot argue with this type of sentiment in a game that does not matter. When I left the ground with just a vague direction to a bus stop, my Sat Nav said if I walked all the way to the station, I would miss my train by about five minutes. 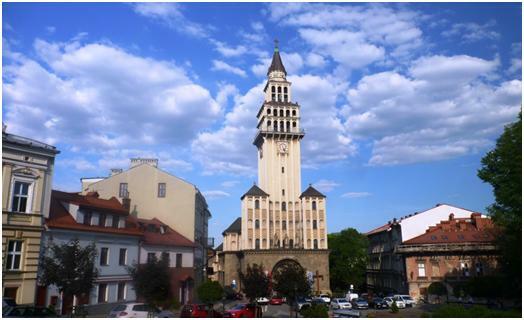 As I had arrived by taxi, I did not know the bus times out so I felt lucky to arrive at the stop and find there was an hourly service to the station – especially as I had less than five minutes to wait. So it was back to Braunschweig, seeing Dirk again and heading to his favourite local Greek restaurant, where I have to admit the food was good, and very good value for money. We talked about Dirk’s forthcoming trip to Malaysia, Singapore, Indonesia and Brunei in which he planned 24 flights in a three week trip, including travelling between Borneo and Java four days in a row. I said I had looked at the fixtures and even considered making the trip, but uncertainty about work prevented me from doing this as an alternative to my Eurotrip. I would have forgone a fixture though to spend longer on Borneo, especially if there was an overland option between the games there. 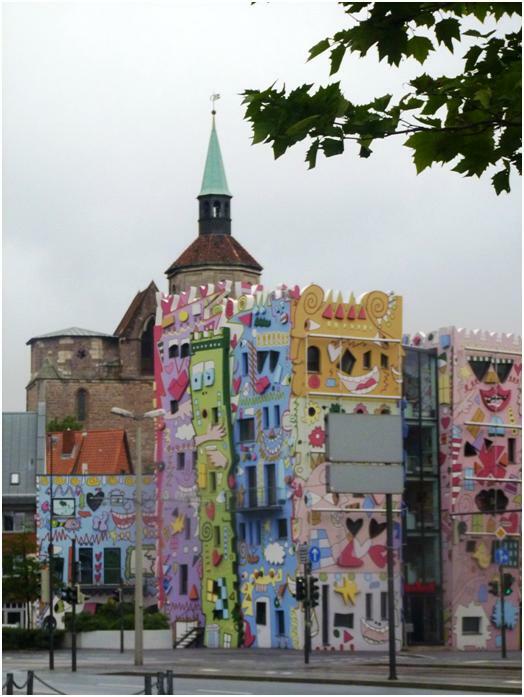 Office building in Braunschweig, used by the company Dirk works for! Dirk also persuaded me to change my plans for the final day of this tour. I was going to Nöttingen, who had a promotion play off, trying to rise into the Regionalliga (fourth level). Instead, Dirk recommended 1. CFR Pforzeim at a level lower. The club is a recent merger and as such is in possession of two stadia, both good and old. 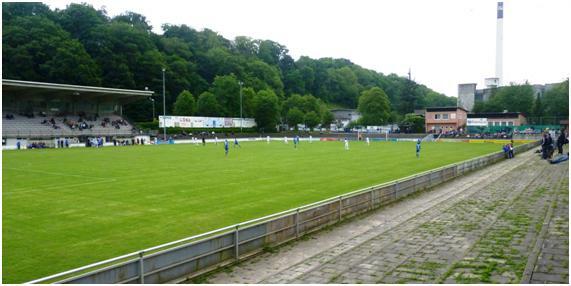 Originally the team had favoured a ground at Holzhof, but difficulties in getting permission to update it, meant Brötzinger Tal had become the ground of choice. 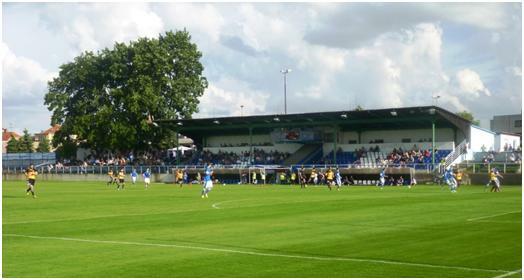 This game was slated as the last ever game at Holzhof, and would be a German Groundhopper’s day out (not that this necessarily is a recommendation). As a groundhopper, I do tend to head for grounds that may be having their last hurrah, rather than the more important game on a ground I can visit another day. Added to this, Pforzheim is the more easily accessible of the two, Nöttingen being some 45 minutes from the rail station, with no buses back. 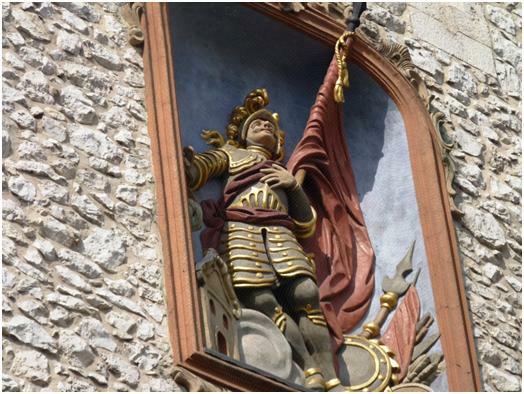 There was also the precaution that if I arrived in Pforzheim in good time, and it was off, then it would still be possible to get to the slightly later kick off at Nöttingen – and both could be done without changing my pre-booked hotel. 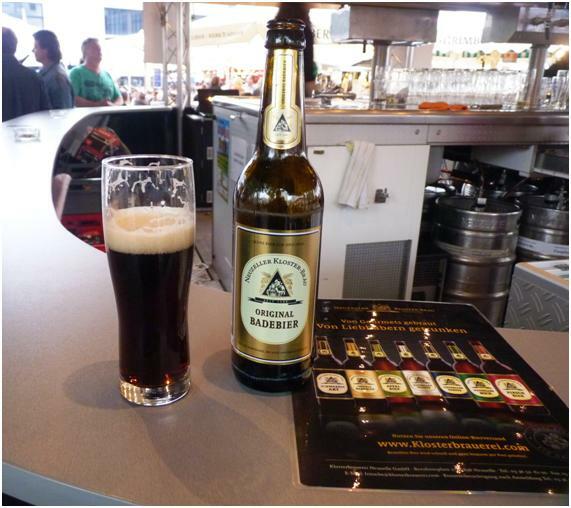 Pforzheim – time for a beer! There were a number of German groundhoppers in Pforzheim, having arrived at the ground from various parts of the country. 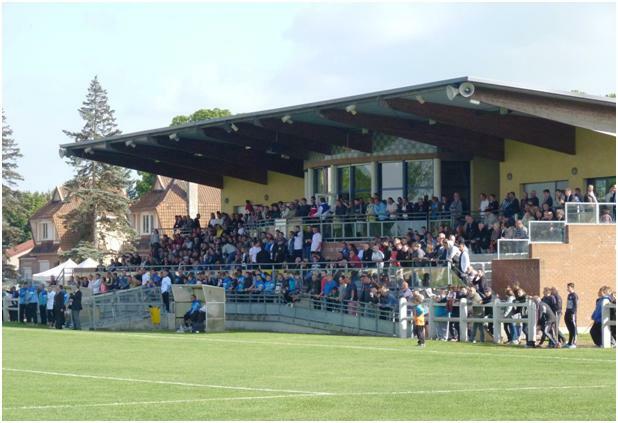 However, the news was that the building works at the alternative ground, Brötzinger Tal was unlikely to be complete for the start of the new season, so Holzhof would continue to be used. 1. CFR were a merger about four seasons ago, and they felt at the time that by combining forces, they could move up from the Verbandsliga Baden, which is level six in these parts. At regional levels, the different areas use different combinations of league names, so where as it is always true that Oberliga is above Verbandsliga, which in turn is higher than Landesliga, with Bezirksliga, Kreisliga and finally Kriesklasse lower down, one cannot say that a specific league name refers to a specific level. In Neidersachsen, where I went on the Wednesday, there is no Verbandsliga, so Landesliga is level 6, the same as Verbandsliga Baden. Anyway, merging the two teams in Pforzheim has not achieved the desired objective, and the club has sat at the same level for the four seasons since merger. To add insult to injury, another team in the town, Pforzheimer Kickers has come through and is now on the verge of rising to the Oberliga. I would be very surprised to find the average crowd now is much greater than that given to either of the two clubs before merger. There may be some advantages through the merger, such as if they have managed to keep all the sponsors from both clubs on board, and the combined committee should be stronger, but I bet there are people on both sides now that do not view the merger as a success. 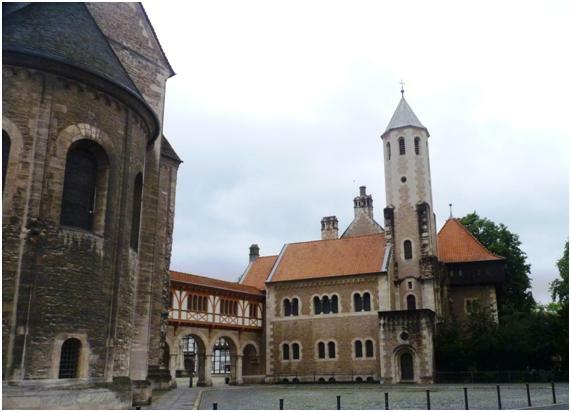 With only a few hundred present, the Holzhof is easily fit for purpose without renovation. 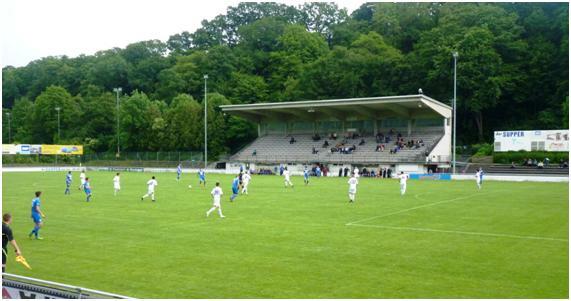 As I understand Brötzinger Tal is also in this category, I cannot see what the club is building for. 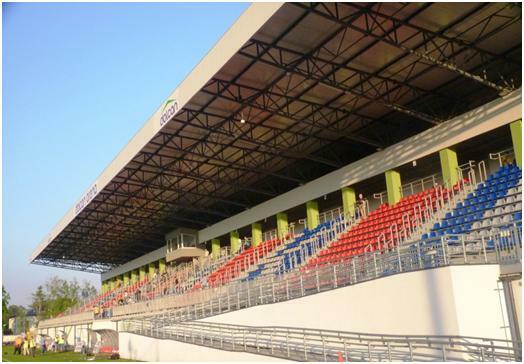 It has a large stand, with more than 1000 seats, albeit bench seating. There are a number of steps of terracing all around the rest of the group, and although the section behind the far goal has been closed off and is overgrown, the rest is in very good order. On the levels above the terracing at the town end is the normal catering, I bought myself a Bratwurst, and could have had coffee or beer as well. The club house is immediately outside the ground, but this no longer appears as if connected to the club. They would not let me even use their loo. The game itself was no great shakes; for most of the time, the visitors Hiedelberg-Kircheim appeared to be the better side with Pforzheim doing little other than lobbing balls into the area for easy clearance. The style changed somewhat when Kircheim had the audacity to take the lead. After this Pforzheim finally got their game together, the passing was more on the ground and crisper with far many more passes reaching completion. This created the chance for substitute Jannick Schram to level the scores after Pforzheim had been behind for fifteen minutes, and may have brought them a win in the last 20 minutes. In the end though, my tour was completed with a 1-1 draw. The switch from Nöttingen to Pforzheim brought me one final piece of good fortune. 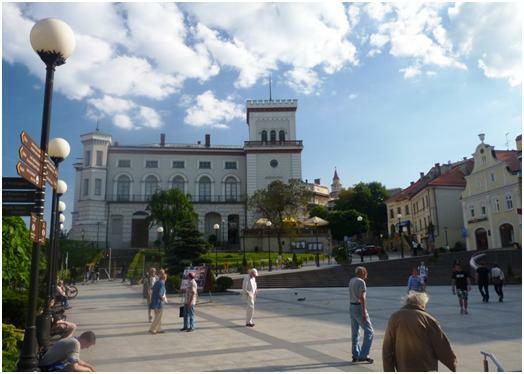 On arriving in the town, I noticed there were a lot of people and noise in the centre. Not that common on a holiday (as this was). Needless to say I investigated, and was delighted to discover that the event was an open air beer festival. I took a quick beer there before the game, but then somewhat delayed my journey out of the town, so I can take more than one more after the game, and also enjoy the rather good rock covers band that is playing. 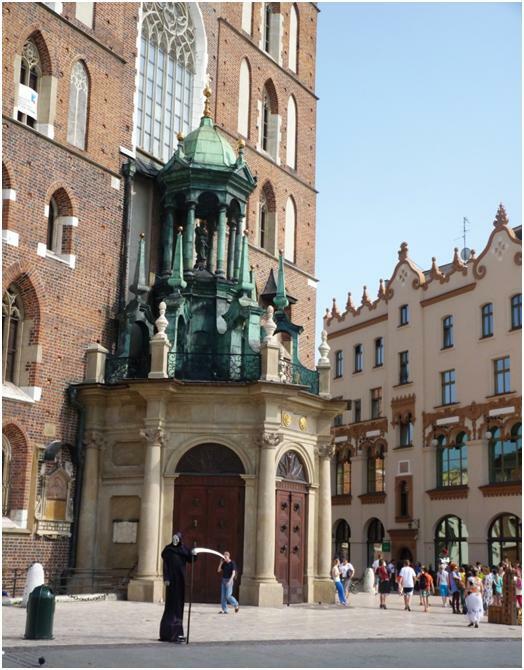 Afterword – looking back on the trip. The tour consisted of 23 games in 21 days, no days off and two double headers (both in the Czech republic, both starting in Prague). Two games were goalless, but the rest contributed 76 goals to my total. All matches were my first visit to the ground. There were two matches called off due to waterlogged pitches, and twice I had been intending to go to Nöttingen, but changed my mind. There were nine home wins, ten draws and only four away wins. The only game on a neutral ground was a draw, but went on the extra time and penalties. 2. Austria Salzburg won the regional title, with Seekirchen finishing 10th of 16. 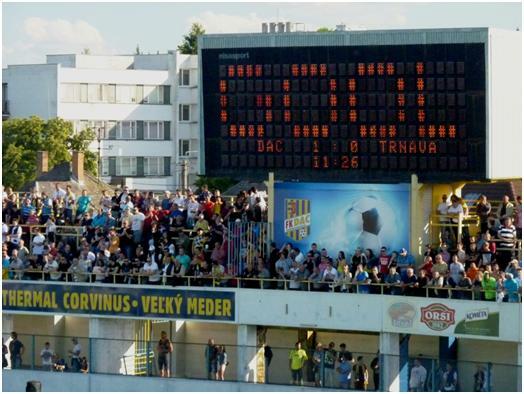 Austria Salzburg lost 3-0 at home in their promotion play off to FAC Team fur Wien, after drawing 2-2 in the away leg. 3. Donaufeld won the Wiener Liga, and promotion to Regionalliga Ost, but there is only one promotion place, so Stadlau, despite finishing second, stay put. 4. This was the final game of the season for Wiener Neustadt and Admira Modling, Neustadt finish 8th, Modling 9th in a ten team league with only one relegation spot. 5/6. We saw Maribor take the title in another ten team league. 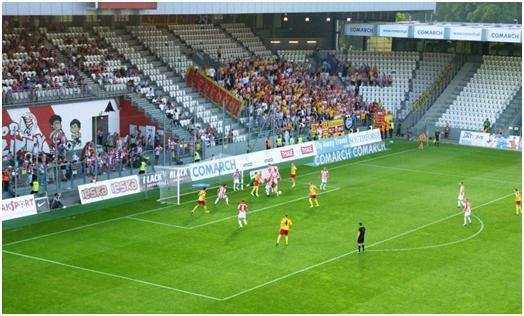 Celje were practically safe after drawing at Krka, and confirmed this in the next match be winning at Triglav. Krka also lost on that occasion meaning the order of the bottom two was only decided when Krka beat Triglav on the last day. 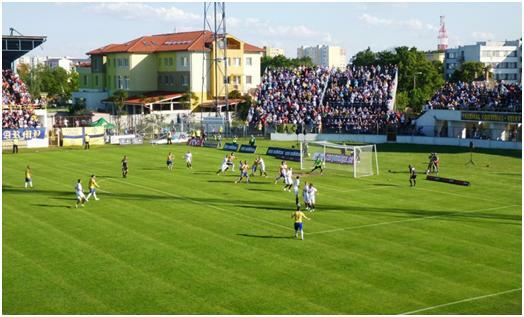 This should have meant Krka entering a play off against Radomlje, the runners-up from the second division, but the second division champions (Dob) declined promotion, meaning Radomije went up without a play off, and Krka kept their place. 8. There are still two games in the Tirol Landesliga to play as I write this, and Kundl are still in the “Possible relegation” zone as the numbers vary depending on how many teams are relegated into the division. I think that the relegation from Regionalliga West will be one to Voralberg and two to Salzburg, meaning Kundl are safe. Reutte are in a safe mid-table position. 12. Thanks to a surprising away win at (already crowned) champions Legia Warsaw, Ruch Chorzow finished third and made it to Europe. 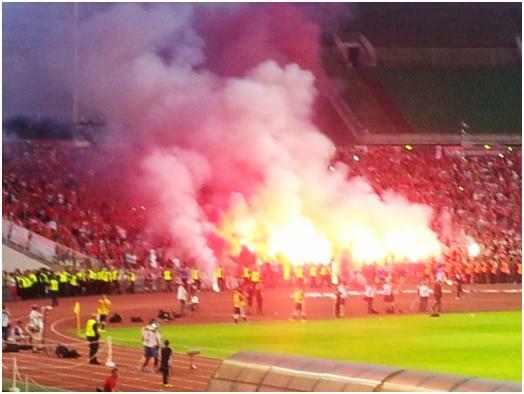 Wisla Krakow finished 5th. 13. 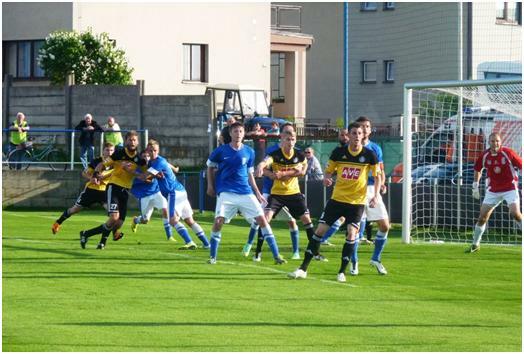 With Dunajska Streda losing their last game at Ruzomberok, while Nitra won on the last day, DAC escaped the drop by two goals. 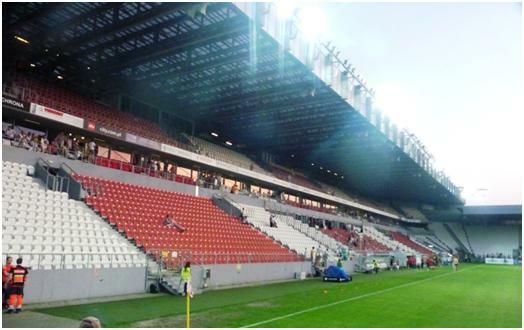 Spartak Trnava had already confirmed their third place, and home defeat to Slovan Bratislava on the last day did not change the positions. 14. 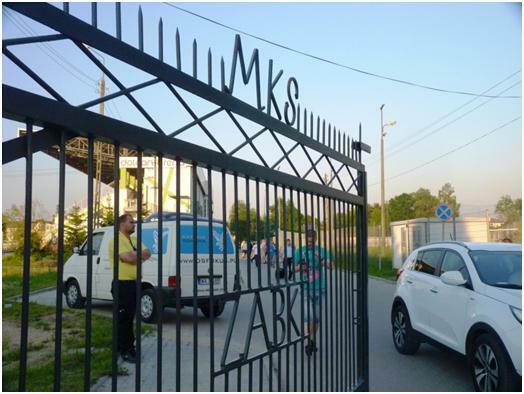 Having brought themselves back into contention with the win over Belchatow, Zabki’s remaining away games were a defeat to Stroze, and a draw at Chojnice, although they did win their last home game. 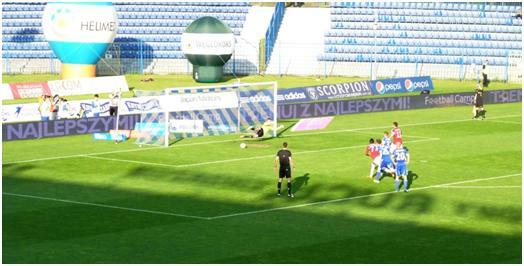 Chojnice’s draw was just enough to save them from relegation. 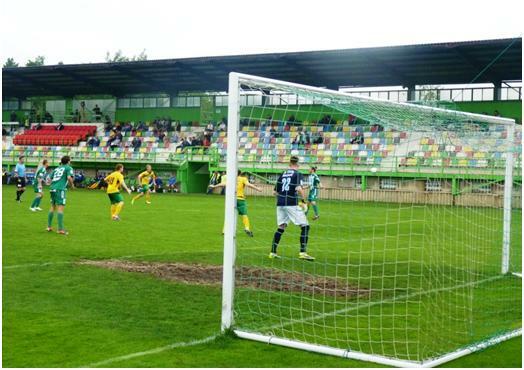 Belchatow won their game at Stroze, and took the title with a 4-0 win over Sandejca Nowy Sacz on the final day, overtaking Leczna who lost at Stomil Olsztyn but still took the second promotion spot. Zabki therefore ended up in third place. 15/16. These relegation group matches in Poland confirmed Lodz and Lubin as relegated, Bielsko-Biala finished 2nd in the relegation group, Cracovia 6th with Kielce 5th. 18. With both Taborsko and and Hradrec Kralove drawing in this round, Ceske Budejovice’s 1-0 win put them just ahead of their rivals. All three won the following week. 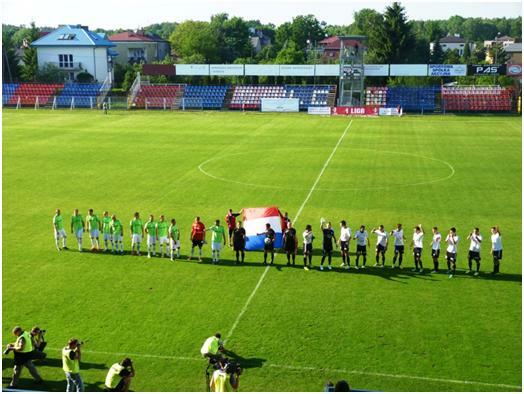 On the final day, Hradrec Kralove won 1-0 at Pardubice, knowing that a win had to be enough for promotion as Taborsko and Ceska Budejovice, (both starting one point ahead) were playing each other in Sezimova Usti. The crowd for this game is quoted as a somewhat incredible 7465, nearly ten times the figure I saw there. Perhaps Taborsko froze under this scrutiny, certainly they were 3-0 down in 16 minutes, and eventually lost 6-0, meaning they finished third, behind Ceske Budejovice and Hradrec Kralove. 19. 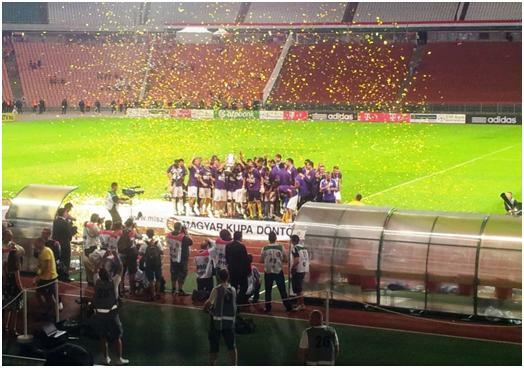 Despite winning the cup, Ujpest have been refused a license for European Competition, so Diosgyori take the place in the Europa League. 21. 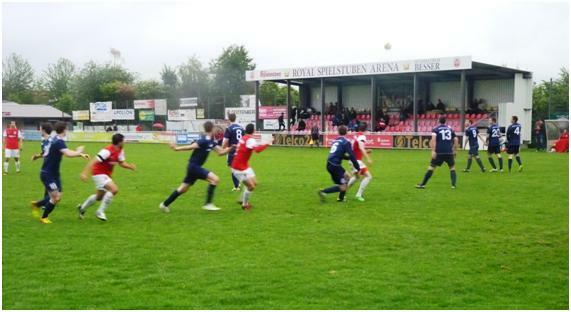 Ajax Amateurs needed to defend their 6-1 lead in the second leg, which they did not do well, conceded six goals. 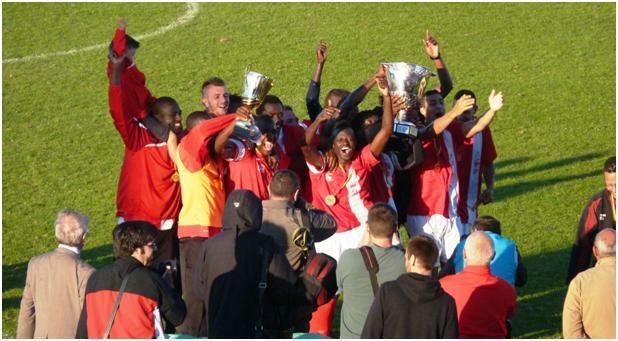 However, they scored two to just win through 8-7 on aggregate, and then beat SteDeCo 5-2 to win promotion to the Topklasse. 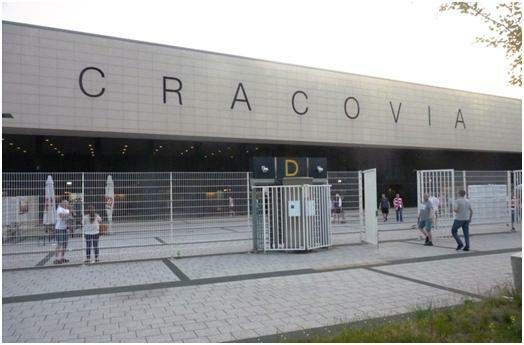 With the kick off time at Cracovia being 18.00, and the overnight train leaving for Prague just before ten, it was an easy walk back to the station for the train. For my third overnight of the tour, I could not get a sleeping compartment and had to settle for a couchette. I was somewhat fortunate in only having one room mate, a retired Canadian. With no socket to plug in my anti-snoring machine, I was also lucky that my companion did not found my night noise very disturbing. I wanted to get another double header onto the trip, and I needed to return to Prague due to a minor disaster on the Monday. When I was dragging my case to the station it fell and the handle broke. I thought the best solution was to go for an instant replacement from the shop at the station. I then had the mad repacking on the shop floor to re-arrange my goods and allow the shop to dispose of the broken case. I thought I had taken everything with me, but then realised there was another pocket I had not emptied. This contained my oyster card, headphones to allow me to listen to music from the computer and most crucially my Sat.Nav system. I realised the mistake within an hour of leaving the city, and with the help of the train conductors, managed to phone back to the shop who found my stuff and promised it to keep it safe and sound until I returned. I am pleased to say this was a success and hence the temporary loss of stuff was only a temporary inconvenience. Having collected my possessions, and placed them safely in a left luggage locker, I took the metro to Strizkov, six stops from the main station. 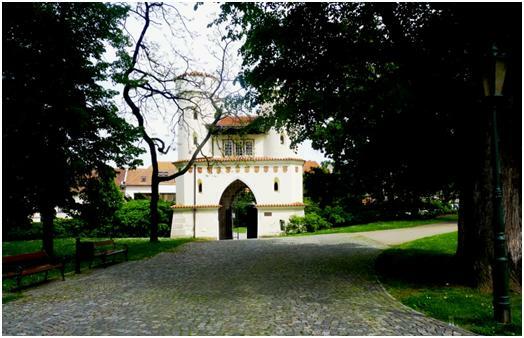 From here it is a short walk to the ground of Bohemians Praha. 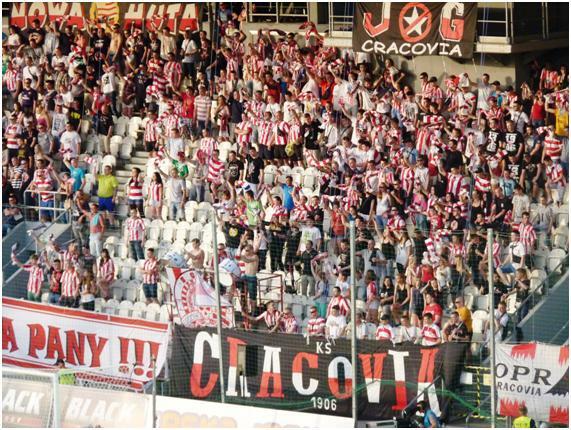 When the original Bohemians Praha folded, the people running Strizkov saw the opportunity pick up some of their supporter base and quickly registered the change of name for their own club. 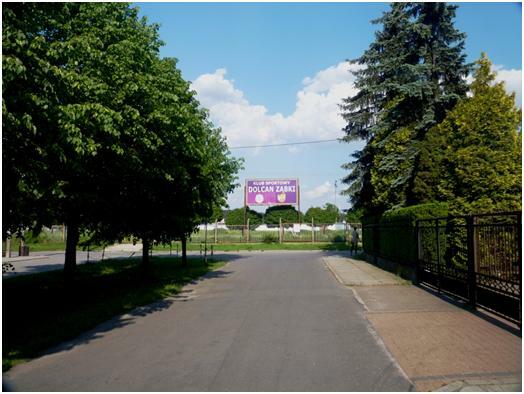 I suspect they intended to try and gain the lease of Dolicek, and re-create an image of the original club. 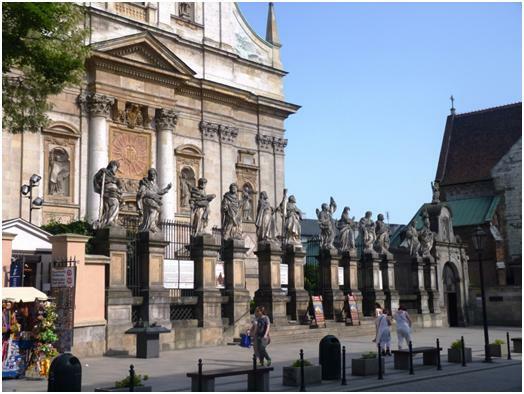 This hardly new in the Czech republic or even in Prague. The current Dukla team is another club that took over the original name some time after club had merged with, and decamped to Pribram. However the fans at Bohemians had a different idea, taking inspiration from the goings on n England and especially at AFC Wimbledon, they decided not to follow some other club owner but to own their own club. With Bohemians Praha name taken, this club is now Bohemians 1905. 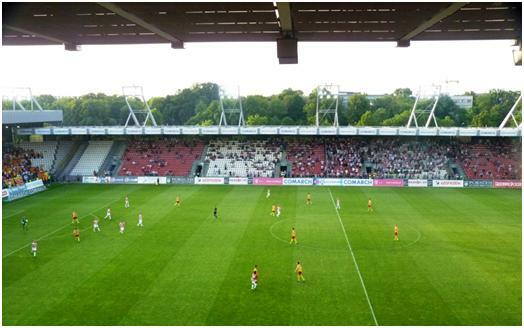 Crucially, the supporters’ club got to use Dolicek. I am not certain their venture would have been a success otherwise. After this, relations between the two Bohemians clubs were not helped by a dispute over the use of the kangaroo on the club badges. Both in fact now use almost identical badges including the kangaroo. The ground is Strizkov is listed by the Czech FA as SK Prosek, which I think is the name of the hospital near to adjacent. It is a straightforward affair, with a single stand filling almost the entire length of one side and containing some 700 seats in a mixed variety of colours which looks quite pleasing from the distance. 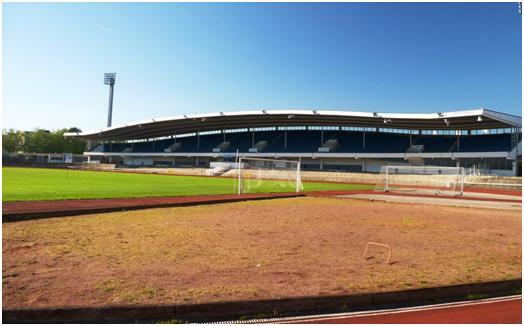 All the buildings are behind one goal, while there is room to stand opposite the main stand between the grass pitch and the adjacent poorly maintained 3G surface. It least if it does belong to the hospital, anyone who injures themselves on the creased surface where the carpet has been allowed to ride up in ridges will not have far to go for treatment. 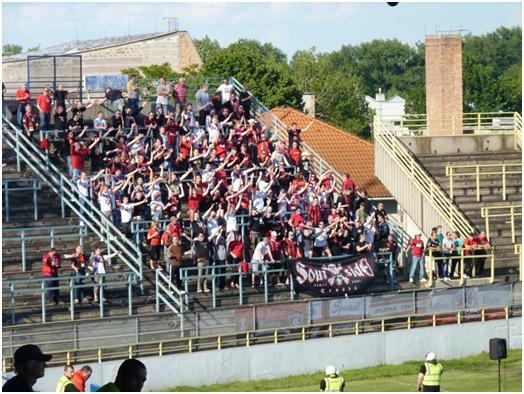 Despite the return of poor weather after my week in the hot sunshine of Poland, Bohemians had decided that the small number of visitors from Sokolov should be segregated on the far side. Until it started raining, I am sure they were happy there, but maybe some accommodation should have been made. I estimate the total attendance at the game around 140, with the away fans numbered in single figures, so I do not think this was really a high security situation. The Sokolov fans had a drummer and made a lot of noise from the start for such a small group. The home fans had no less than four trumpeters, although they were more sparing in their contribution to the musical battle. We had to wait around 15 minutes before they started their concert with a rendition of “Yellow Submarine”. Bohemians know they must finish in a relegation position, while Sokolov start her day in fourth, but too many points behind to catch any of those above them. A classic was not in prospect, and a classic was not delivered. Sokolov were always the better team, but somehow it was Bohemians took the lead ten minutes into the second half. The equaliser came some twenty minutes later, but neither team had enough to chase after a winner. Now picture a single track railway line winding its way across rolling green hillsides. It could almost be England, except of course for the existence of a single track railway line winding its way across the rolling green hillsides. With the train for the forty minute journey from Besenov to Vlasim being a single unit railcar, I was slightly worried that the unit could be filled with away football fans. In fact none came by train, and my only worry was noticing that the speaker on the train kept on announcing stations, and then the train running straight through without stopping. Vlasim is the crossover point where trains in each direction can pass, and all trains have to stop there. 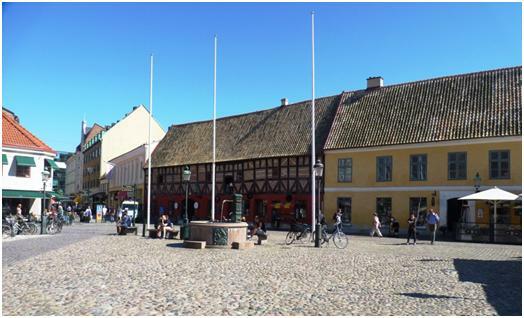 My first impression was of a very small quiet town, (but democratic, there was a queue to vote in the Euro elections). Then you reach the castle. 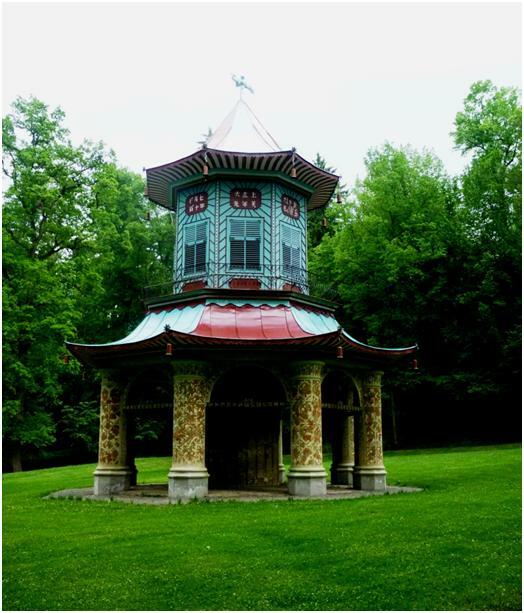 This is actually a stately home, mainly converted as a museum, and with extremely extensive landscaped garden leading down to the river and containing a number of buildings including a faux Chinese pavilion, clearly designed by someone who had seen pictures, but never the real thing. 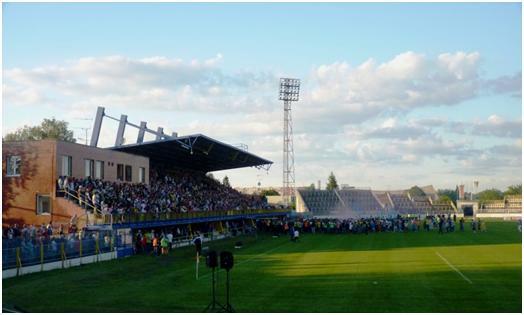 My game was important, the visiting club, Dynamo Ceske Budejovice started the day third in the league (three games) to play, just one point behind Hradrec Kralove, and two behind Taborsko, so I was envisaging a considerable crowd for a ground where the quoted capacity of 6000 owes a lot to the imagination. SO I made sure I was at the ground in good time, and knew my way back to the station – there may be as little as 10 minutes to get back for my train, (which would mean more than five waiting at the station). Ceske Budejovice (in Germany, they say Budweis) were the better side throughout the game, but they found it very difficult to get a goal. The only goal coming midway through the second half, when a free kick from Bruncik from the right evaded everyone and run straight into the goal. Although there was a lot of time wasting at the end, it felt unnecessary, the home side rarely looked capable of scoring. Still time wasting works well when the result is an occasional booking, which itself wastes time not added on. In the end, we had one minute of injury time (as we actually had the trainer on the field), but nothing extra for time wasting or substitutions. When the other results came through, neither Hradrec Kralove or Taborsko won on the weekend. 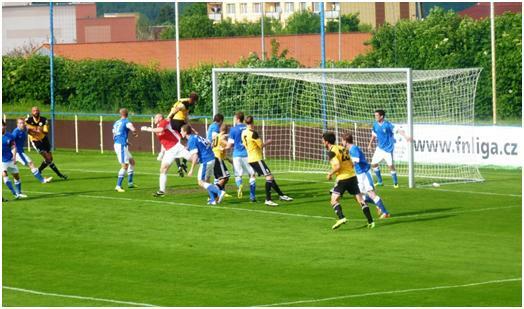 This meant that Ceske Budejovice went to the top, thanks to their superior goal difference. 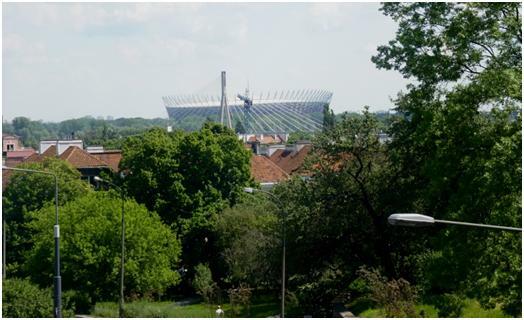 I will not use the name Ferenc Puskas Stadium. 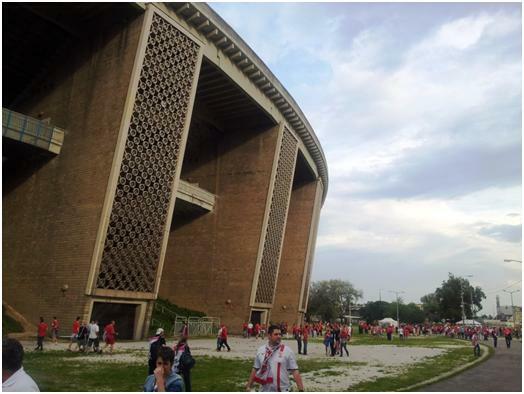 To be called Ferenc Pukas you need to be the best, and this stadium, a relic of the soviet age does not deserve that name. It is a large bowl with a tier of seating all around. 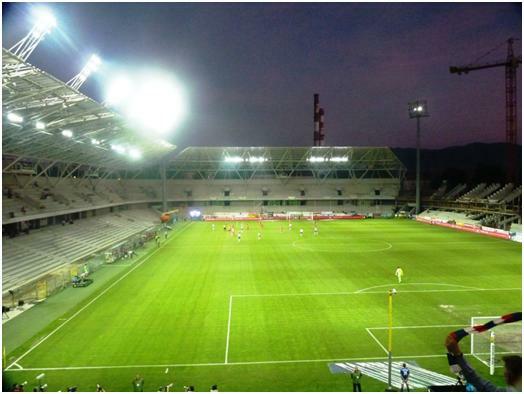 A second larger tier sits above the first on the side opposite the main stand. 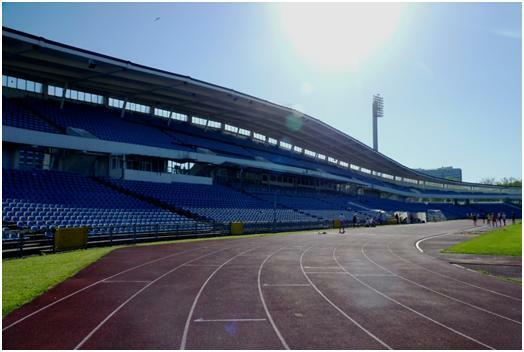 The main stand itself is the only thing that has been refurbished, and the only area with cover. It is given over entirely to VIP and Media. 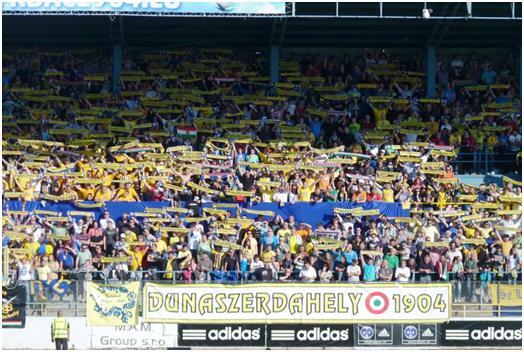 I had a 1000 Forint (about £3) ticket using the Hungarian FA’s less than easy booking system. This was required as the signs clearly said no tickets on the day. I chanced my luck with the media accreditation and was told no, and then they changed their mind and said yes, so I got my upgrade, the teamlists and a free cup of coffee! The ground currently holds 56,000. Around 22,000 turned up. That means the upper tier was uninhabited, the fans from the two clubs filled (but nowhere near 100%) the two ends, and a curiously quiet four blocks immediately opposite the main stand had small groups of people in them. These tickets were not on sale on the net (if they were, I would have had one), so I am not certain who they were. They were not wearing colours, while most of the rest of the crowd were in colours, including most in the hospitality area and some of the media. I have two guesses – one that they were mainly foreigners who found out about the game late and got tickets through contacts from the hotels, or that they were stragglers left over from the Amateur Cup final held as a curtain warmer, (my train times did not allow me to double up). There were quite a few leaving the ground after this as I arrived. From the moment I had arrived at the station, it was clear that there was a major security operation on, with massed police at the station, and plenty of police moving around the area. There were blockades quite a distance from the stadium in all directions. Everyone heading to the stadium had their ticket checked, supposedly against ID, but as I entered through the press zones, I never found out for certain. My name, date and place of birth were printed on the ticket, and one had to carry ID card or passport. The question then remains, are flares, smoke bombs and crackers permitted or are the searches just not that thorough? 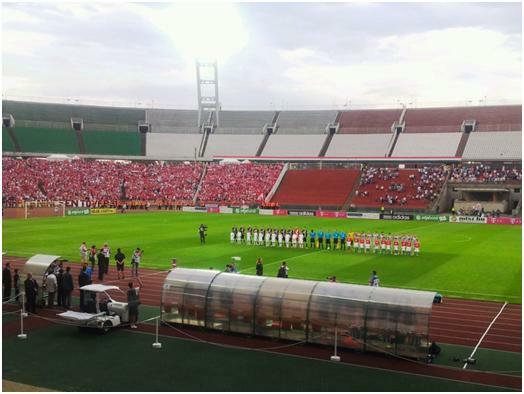 During the game, we had plenty of competitive singing from both ends of the stadium. 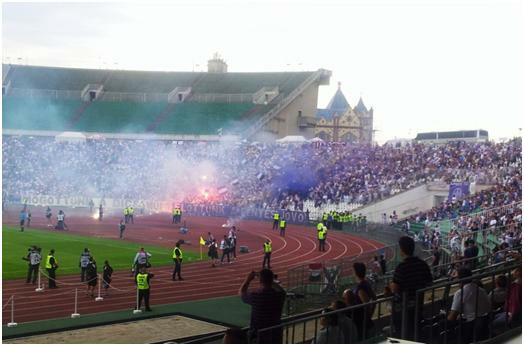 It appeared that despite the greater distance, Diosgyiori had slightly more and noisier fans than the local Ujpest team, but Ujpest made up for this with more flares and fireworks. There were a couple of moments though when a level of peace was restored. During the second half, I noticed that identical banners, exhorting all Hungarians to get to Bucharest for the European qualifier in October was displayed at both ends, while on the 30 minute mark the fans gave each other space to mention their pet hates (naturally also hated by the other team). Ujpest chanted about their hate of Ferencvaros, while Diosgyori’s complaint was against the Hungarian FA, and in particular the president thereof. It appears these two parties are held jointly responsible for the current situation where every top division match is considered a major security concern. From Budapest, I took the quick route to Malmo, on board a rather packed out Wizzair A320. Wizzair are the airline that pulls out all the stops to make Ryanair look good, the flight was packed out and at Budapest, you are made to queue in a room that is nothing more than a large warehouse. 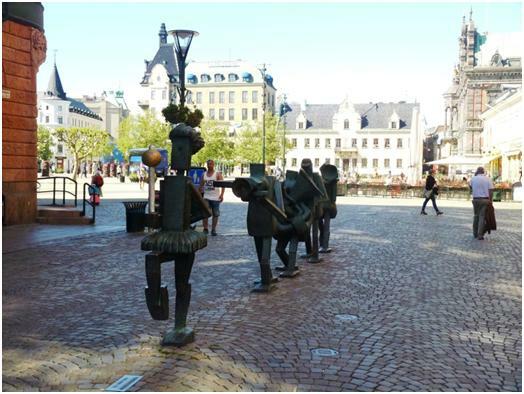 Still, it meant I could have breakfast in Budapest and an early afternoon coffee in Malmo. It was a strange afternoon, the police were around in force, but acting much quieter than their counterparts in Budapest. One was not certain if they believed there was a risk of trouble or not. 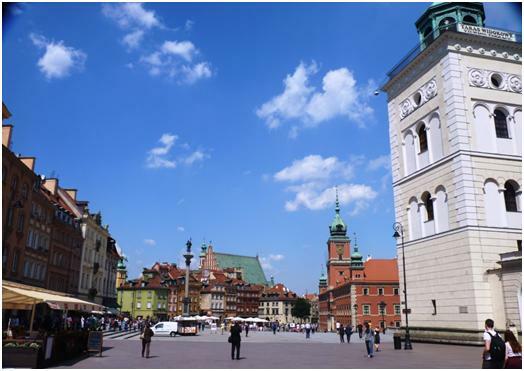 It is of course a very pleasant city in good weather, and coffee is one thing that is not particularly higher priced than in England. 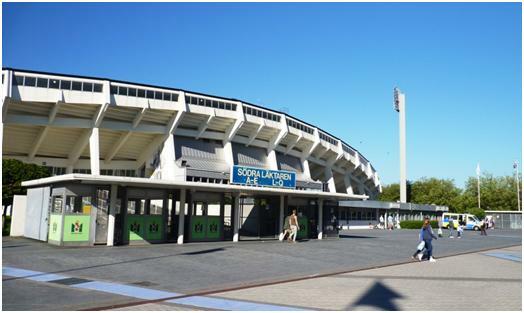 As one walks south from the centre, you can easily pass all three of the Malmo stadiums, all of which have been used by Malmo FF at some time in their history. 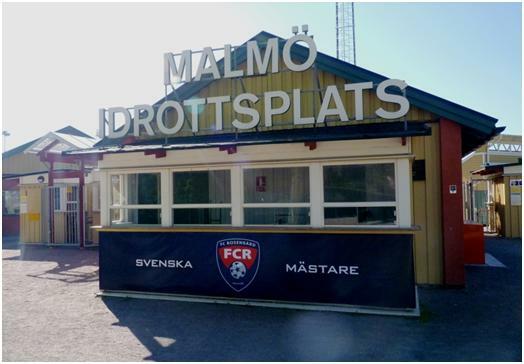 First up is Malmo Idrottslats, which now has an artificial pitch and is used by Sweden’s leading ladies team, (now called FC Rosengard). 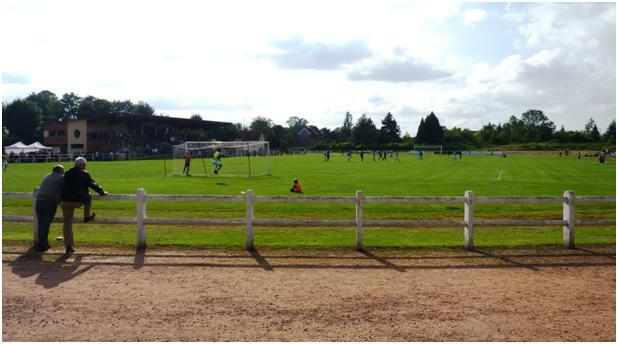 The pitch was in use for training and the gates were open, so I asked permission and took a couple of photos. 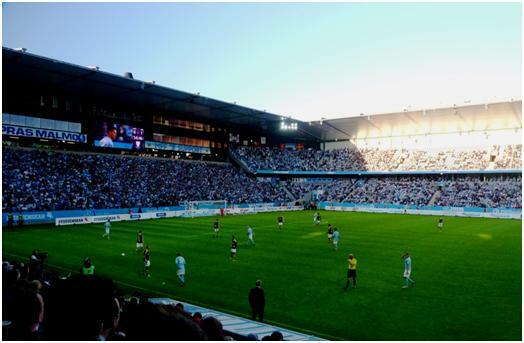 As with most new built stadiums, the New Stadium, Malmo has fine viewing lines. 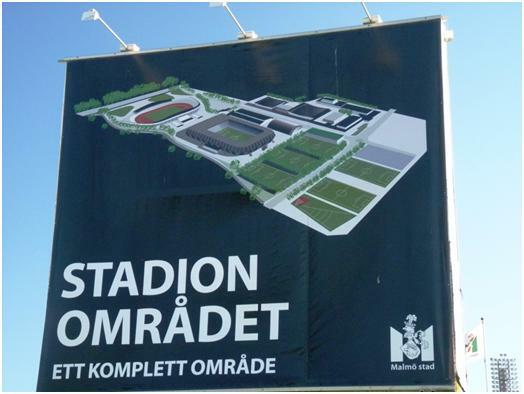 It has been built square to the pitch, with very little space between the pitch and the stands in order to give a much better atmosphere then the Malmo Stadium next door. For most of the circumference it has two uniform tiers. 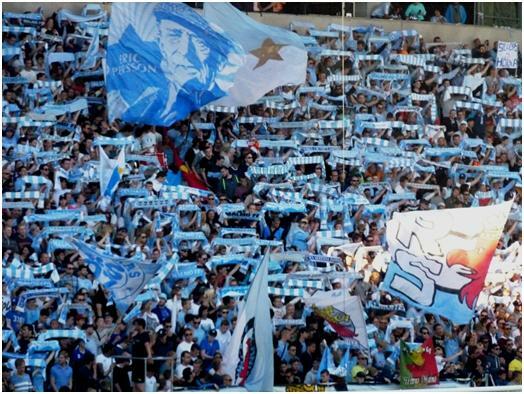 The exception is the north (or city) end, given over to home support. This single tier is deeper than those on the other sides, and above it is a sheer face in which the glass windows of offices or sponsors lounges overlook the pitch. Above the scoreboard there is a small balcony providing a great viewing position. 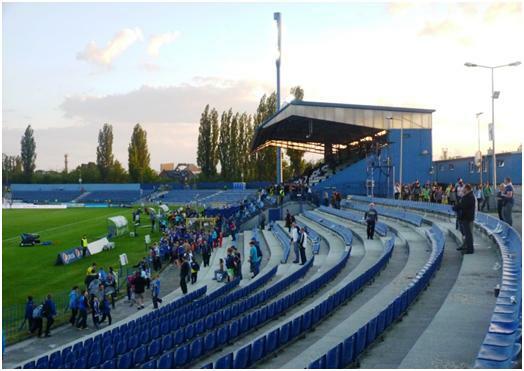 As well as this balcony being a standing area, the large area below is also terrace, capable of holding 6000 standing spectators for a game like this, but then being converted to 3000 seats for European or International games. In the front of the area is a raised platform where one supporter stands, back to the game to orchestrate the chants from behind. They may as well convert the away supporters section to standing as well, as practically no one was sitting there. AIK seemed to have bought more banners and flags than the home team, and almost the full front row wore near identical shirts. The font few rows were left empty, with banners in front of the support and their own conductor (with megaphone) on the otherwise empty seats. There is no doubt that the supporters were very aware of goings on, on the pitch (unlike some German games I have been to recently, where I thought the crowd was almost blind to the game. 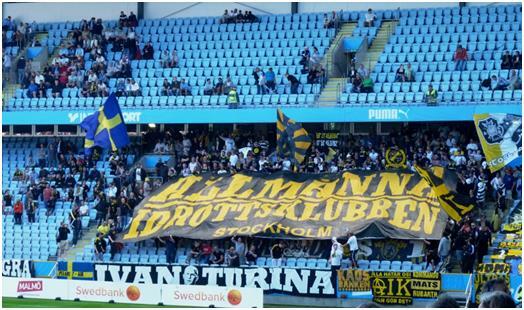 When AIK got a free kick or corner, the chant at the home end would break off as the fans whistled their displeasure. 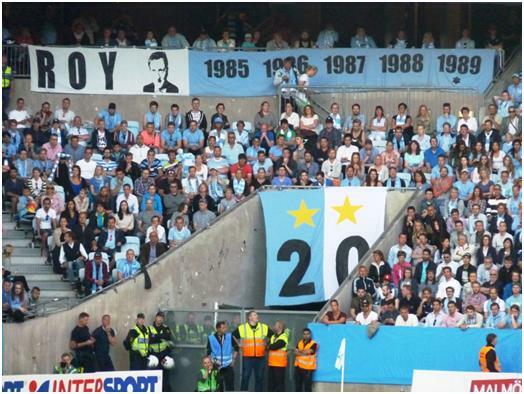 A lot of the displays at the ground hark back to the fact the club has won 20 Swedish titles, the most of any club. One corner has the word ROY, a picture of the current England manager looking somewhat younger than he does today and the five years (1985-1989) that marked his management of the club. In five years of Hodgson, Malmo won five Swedish titles. He also won two for Halmstads. Only one other England manager has first won the Swedish title, and Sven only did it once. 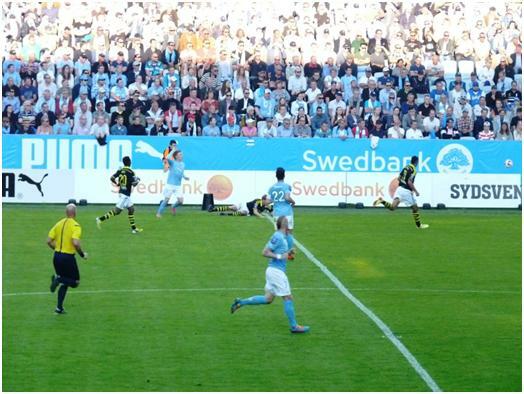 Malmo had the better of the early exchanges coming close twice in the first five minutes. In the 17th minute, Robin Quaison of AIK went down in the penalty area and got a booking for his dive. They actually showed the whole move again as a replay on the screen, bring forth laughter and derision from the home support, seeing clearly that had made the correct decision. With both sides playing a 442 the game was quite open, but Malmo’s left flank was clearly the most creative area of the game, from where Forsberg hit a shot against the post in the 27th minute. It looked as if it would go scoreless to the break, but the Malmo defence took their eye off the ball, it was knocked forward to Eero Markkanen to score for AIK. The second goal also went the way of AIK, this time scored by Quaison, who must have been as surprised as anyone when his shot went through Olsen’s grasping hands, while the keeper is sure to be blamed, the defenders will also have to question the space given to the scorer. Five minutes later, Malmo pulled a goal back in rather strange circumstances. There was an incident near the benches and two AIK players as well as the one just substituted stopped to argue with the home bench, but the referee had not stopped play, and the ball was moved forward for Molins to score. The referee was clearly bemused by the situation, and the linesman and fourth official, both on the side seemed none the wiser. In the end, the sanctions were yellow cards for Goitom (AIK, who had just been substituted) and Jansson (Malmo, a sub who never came on). It is quite unusual to get your yellow card five minutes after leaving the pitch! 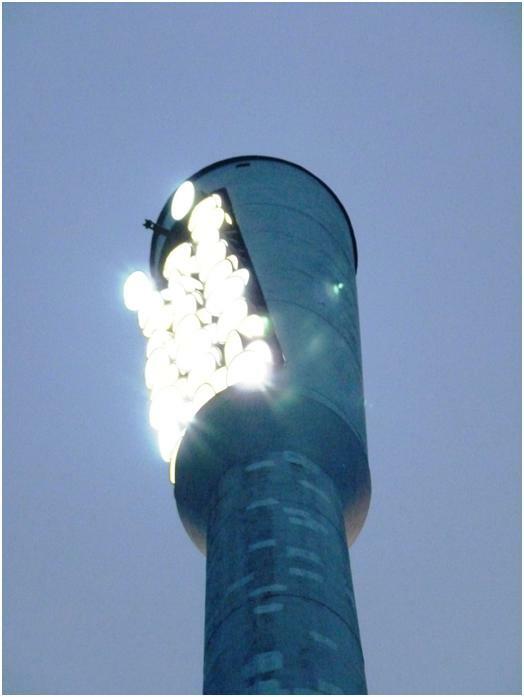 There was also a marked contrast against other games in that the lighting of flares immediately after the goal brought whistles of protest from some fans, two Malmo players went to their fans to tell them to stop, and the game did not restart until the flares were out. With no security presence at the home end of the pitch, I doubt if any other action occurred, even though the culprits must have been videoed. Meanwhile pulling one back meant that each home attack was greeted with a wave of expectation, followed by a groan as the players managed to mess it up. With 15 minutes to play, Mallmo tookthe adventurous decision to take off a full back for an attacking player. Then Molins was bought down, just inside th box by Orofi. 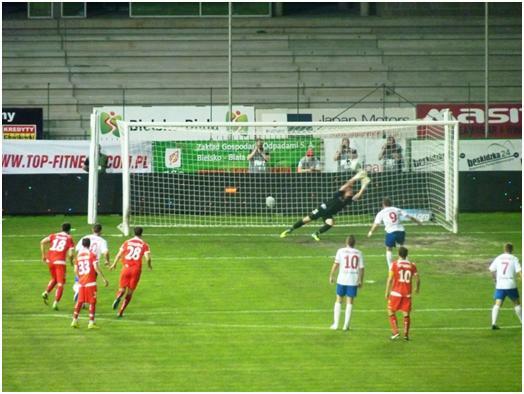 Molins himself took the penalty and placed it at perfect saveable height, for the grateful Carlgren to push away. There were more complaints from the home fans when AIK’s Lorentzson was slow to leave the pitch injured, and did not get a booking, but the referee added no less than six minutes on. In the fourth of these minutes, Forsberg, who had been the player most responsible in the second half for not getting his shots and crosses delivered had a cross blocked for a corner, then took the corner which was only half cleared. Cibicki picked up the ball with his back to goal, took a couple of paces away from the goal and then shot the equaliser on the turn. Malmo were already two points ahead of second placed Elfsborg before the game started, but face their strongest rivals on Sunday in the last game before the world cup break. 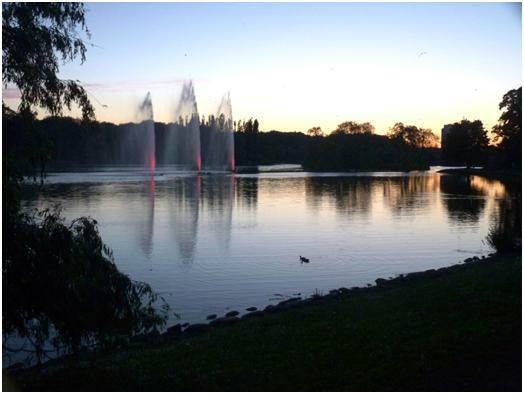 After the game, I again kept the lake to my left, admiring the late evening colours, and the fountain which was lit up, I made my way to the local brew house, where I decided I was sampling at least something of what was on offer despite the charge of £6 for a half litre. 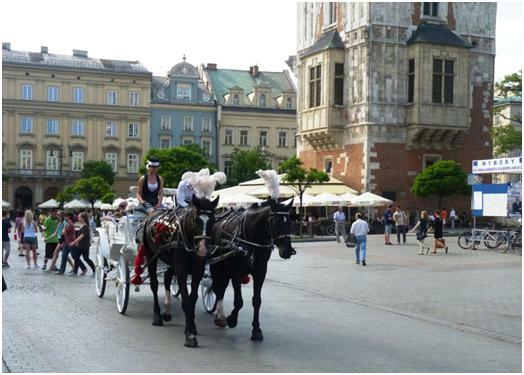 That is six times the cost of some drinks I had taken in Poland, Slovakia and the Czech Republic. It was good beer though and I had a chat with another of the clientele, a AIK supporter down for the day who was not certain whether to celebrate his club getting a good away draw to the league leaders of mourn the points lost from 2-0 up. He did know that either way, beer was the answer. He asked me (in perfect English, of course) if I was a groundhopper, he tried to charge his phone from my charger (which is not very good), and he bought me a beer. Spending slightly longer than I should, in the pub, a further combination of factors meant I missed the first choice train out. Not a major loss, but it meant spending 90 minutes waiting for a connection at 4 in the morning, when the original choice was to travel for two extra hours (going to Aarhus and back) to use up the time. The factors were enjoying the pub, a slight delay on a connecting train from the local station to Malmo central and the actions of one of AIK’s less helpful supporters, who had stuck a club sticker on the left luggage locker controls. If you put a sticker on a touch screen panel it just does not work (do not try this at home), and by the time I had removed the sticker and recovered my bag, I was left waiting for the next train. You are currently browsing the Football Shaped blog archives for June, 2014.